A Mexican drug smuggler was sentenced to jail time for bringing over $500,000 worth of drugs across the Canadian/U.S. border for a Mexican cartel. Alexis Joel Garcia Palomino, 24, pleaded guilty to the unlawful importation of heroin and methamphetamine and failing to enter Canada at the customs office. Garcia Palomino was an illegal immigrant in the U.S. employed by the Mexican cartel for some time. Palomino would make anywhere between $500 and $1,000 for smuggling runs to Canada. 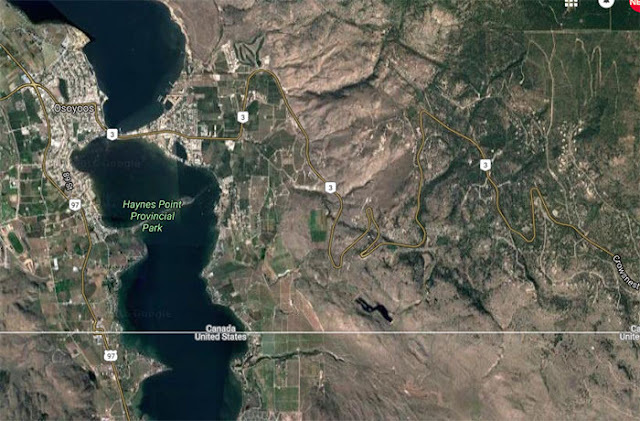 On March 17, the RCMP received a call from U.S. Border Patrol advising an individual was carrying a backpack and walking north towards Nine Mile Place and Highway 3E east of Osoyoos. Police found 1,022 grams of heroin and six bricks of methamphetamine totalling 5,089.7 grams. Two knives with 10-inch blades and night vision goggles were also located. Garcia Palomino was sentenced to 3.5 years in jail, 390 days of which he has served in pre-trial custody. Palomino has just under 2.5 years remaining on his sentence.